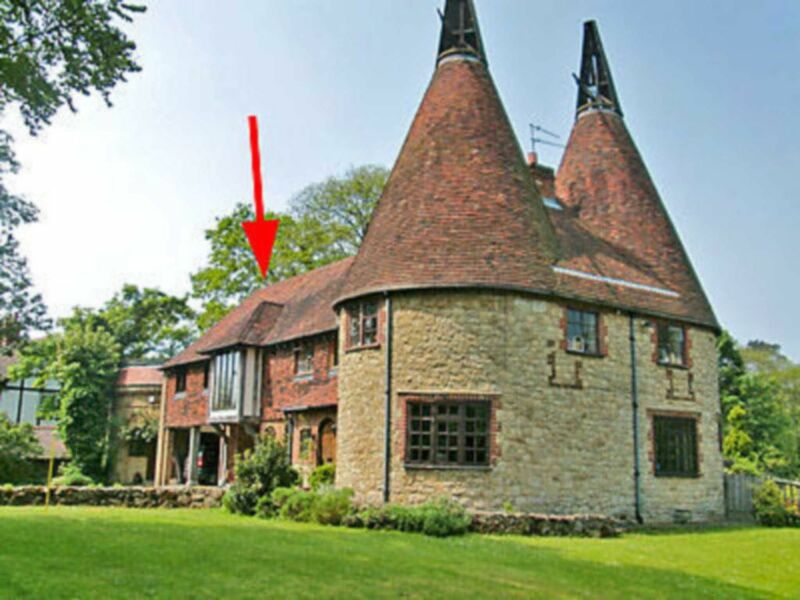 This tastefully converted first floor apartment adjoins the owners home and is part of a Kentish Oast House. Walks abound from the doorstep, golf, fishing and pony trekking are available locally. Just 2 miles away is the fairy tale moated Leeds Castle with its maze, falconry days, hot air balloon rides and much more. This is an excellent holiday base for visiting the numerous places of interest that Kent has to offer. This property is adjacent to The Water Tower, ref 13684. Bearsted station with trains into London is 1 mile. Shop, pub and restaurant 1 mile. Internal stairs to entrance. All on first floor: Living/dining room with beams. Kitchen with sloping ceiling. 2 bedrooms: 1 double, 1 single. Bathroom with slipper bath, shower cubicle, toilet and sloping ceiling. Gas woodburner in living room included. Gas central heating, gas, electricity, bed linen and towels included. DVD. Gas hob. Electric oven. Microwave. Washer/dryer. Fridge/freezer. Wi-fi. Shared area of lawned garden with garden bench. Parking (1 car). No smoking. No children under 12 years. There are internal stairs to the entrance of this property and the ceilings are sloping. No children under 12 years old. Shared garden.